At the University of Florida, we’re asking questions to advance knowledge and understanding of diabetes through the collaboration of patient care providers, researchers and education leaders from multiple disciples under one roof. Our people are conducting basic research to clarify the mechanisms causing diabetes and related complications, and translational research to transform their research findings into clinical solutions. 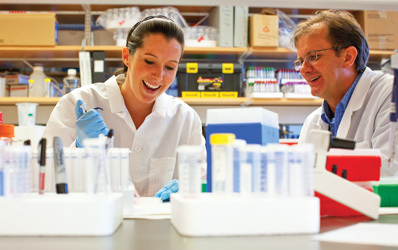 The shared technologies made available through resources provided by the University of Florida and private philanthropy allow our investigators to continue conducting state-of-the-art clinical research trials, moving us closer to a cure for diabetes.